The 47-story tower of the Ocean Resort Casino which was once known as the Revel is to be rebranded. Yesterday, the popular casino’s owners used Twitter to reveal that the iconic property’s name is to be changed for the fourth time since its construction in Atlantic City. As they revealed, the site’s name is to be now tweaked in a way that would better highlight the gambling amenities and will be now known under Ocean Casino Resort brand. The construction of the 47-story Revel tower was finalized in 2012 and was estimated at $2.4 billion. However, the property, which has become one of the best-known in Atlantic City, stopped operation in 2014, at a time when a large number of local casinos went bankrupt and the city’s finances were seriously hurt. Then, Glenn Straub acquired the Revel tower in a 2015 takeover deal worth $82 million, announcing his plans to rebrand the property under the name TEN in 2017. These plans, however, were never materialized, primarily because of a litigation regarding casino licensing. 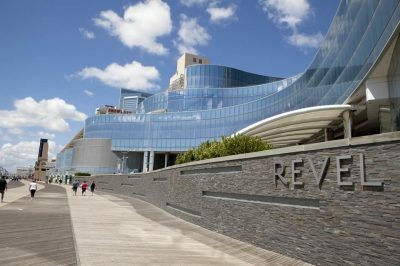 In the end, the former Revel casino was sold to a group led by Bruce Deifik, a Colorado developer, at the price of $229 million. Sadly, Deifik died in a car accident only a few days ago. He has shared his decision to voluntarily give up the ownership in favor of Luxor Capital Group that had helped him finance the reopening of the casino venue in June 2018. 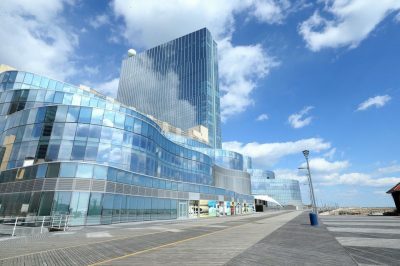 The property, now called Ocean Casino Resort, was facing some difficulties in the first several months after the reopening of the casino and had been losing money. At first, it fell below the minimum levels of liquidity that the state had established. Still, it started showing some signs of improvement at the beginning of 2019, with a turnaround noticed at late February, after the announcement that the hedge fund Luxor Capitol Group, based in New York, is to take over the casino’s ownership from late Bruce Deifik. Now, the owners have shared their hopes that the rebranding would help the casino attract more customers to its gaming premises and put it back on the way to profit. A new logo was also displayed on the official Twitter account of the property. As mentioned above, the words swap aims to show customers that the resort intends to double down on its gambling focus. The casino owners wrote in a tweet that it was time for the property to unveil “a tide of changes”, including a new marketing campaign and a number of improvements. The new logo of the Ocean Casino Resort also reflects the shift of focus, with the property intending to emphasize on the initial Revel model of attracting high-roller customers.